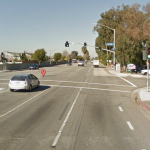 SAN BERNARDINO (July 18, 2014) – Pedestrian John Preciado was struck and killed by a hit and run driver as he was crossing a street in San Bernardino. Preciado was crossing W. Rialto Avenue and G Street at 8:50 p.m. when a car struck him. 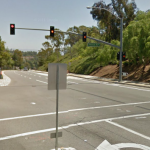 He was rushed to Loma Linda University Medical Center where he was pronounced dead from his injuries. 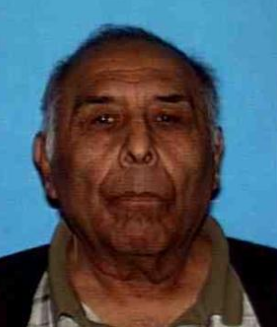 Preciado, an 85 year old resident of Mentone, had been reported missing from his assisted care facility earlier that morning. The driver of the vehicle that struck Preciado fled the scene. That driver, when caught, will be held accountable for the wrongful death of Preciado. In California, it is illegal to leave the scene of an accident and considered a felony. Investigators are looking into clues left behind. Often times people who are driving under the influence flee the scene of an accident, hopefully the driver will turn himself/herself in to authorities. Witnesses or anyone who might know who the driver is should contact the San Bernardino Police Department’s Traffic Division at (909) 384-5742.